President Koroma is leading by example in all situations, setting the direction by helping others see what lies ahead and rising to the challenges, Mr. Kanu said. He explained that the OGP is an elite club of nations committed to the principles of openness, transparency, accountability, and the fight against graft that the president is modeling. 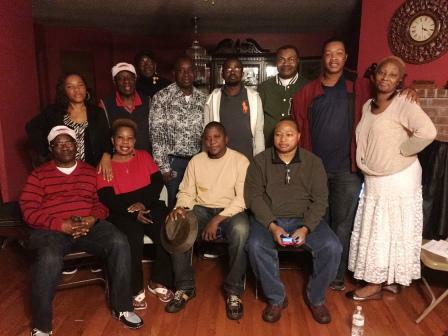 Commissioner Kanu was speaking in a well attended meeting of the All People’s Congress Social and Cultural (APC-SC) in Dallas, Texas and informed them that there are stringent requirements that a country has to meet before applying for membership of (OGP). Two of these requirements, he said are, a robust Anti-corruption Commission and Freedom of Information Act both of which have already being enacted by president Koroma just in time when the OGP came into existence. In 2008, the president strengthened the Anti-Corruption Commission, giving it more autonomy and prosecutorial powers. The Right to Access Information Act was passed in 2013, making Sierra Leone and automatic qualifier. Commissioner Kanu continuing to state that attaining membership to the prestigious OGP is an example of the steady, step-by-step progress Sierra Leone is making under the leadership of President Koroma. Setting up the Open Government Initiative (OGI) in 2008, a year after he became president, heralded president Koroma’s desire to make the government more open and transparent. The OGI is an organ of government set up to bring the people and the government closer together he said. The OGI, Mr. Kanu continued, is one of president Koroma’s success stories. The OGP is part of the millennium flushed with technology to connect the people with their governments and also provide them with the constitutional rights to demand their governments to be more responsive, opened, transparent, and more accountable to them. Ministries, Department, Agencies, Business and Non-Governmental Organizations (NGOs), should be answerable to the people, he said. Commissioner Kanu further stated that the government passed, the Right to Access Information Act to ensure that everybody, regardless of class or status, has the right to access and impart information. Presently, the field of transparency policy has attracted attention everywhere, and it is bound to increase efficiency in public service delivery, and minimize corruption, as every public official is answerable to the people. Mr. Kanu made enthusiastic approval of President Koroma for the excellent work he has done during the past eight years, but went on to say that those who do not recognize the good deeds of this president are nothing but enemies of progress. He described the blatant adverse assertions, conjectures and baseless accusations made by some members of the opposition as misguided and unfortunate. He urged members of the Diaspora in general and the APC Dallas Chapter, to be forward looking and continue to pray support and pray for the president to continue working for the nation and pay no heed to the detractors. 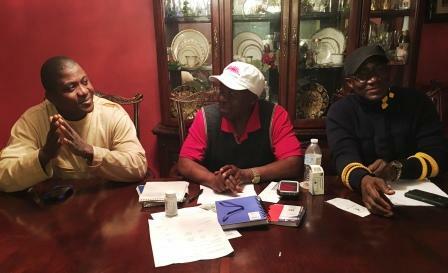 Commissioner Kanu went on to express his pleasure to see that the APC-SC Dallas growing to the extent that it has become the most vibrant chapter in the APC-USA branch. He said,” I am thrilled to see the fruit of my labor growing to such heights even in my absence.” Mr. Kanu is one of the founding fathers of the APC Texas Chapter (Now APC Dallas Chapter) since its inception in 2002. He was elected the Chapter’s first Secretary General, a position he held for two consecutive terms. He worked diligently and assiduously. And within a few, years, the Chapter’s membership grew exponentially, at a time when belonging to the APC party was not fashionable! 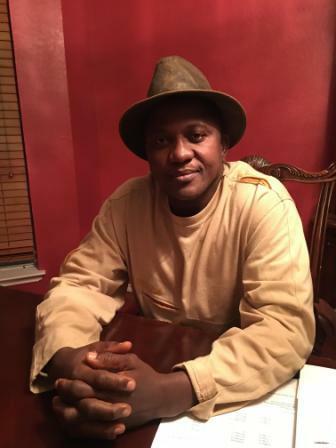 Former Minister of Health and Sanitation, Mr. Sheku Tejan Koroma was the main architect of the APC branch in Texas. In his address, the president of the chapter, Mr. Sheik Daboh paid glowing tributes to Commissioner Kanu for being one of the founders of the APC Dallas. He said, Mr. Kanu contributed immensely in laying the strong foundation and success of the chapter to which he now serves as president. Mr. Daboh informed members of the chapter that, it was Mr. Kanu who persistently urged him to join the chapter, way back then, and it is a decision he never regretted a bit! Mr. Sheik Daboh commended the president, His Excellency president Koroma for appointing qualified and deserving people like Commissioner Kanu, to key positions of responsibility. He describes Mr. Kanu as somebody with an artist’s sensitivity to people and situations, a man who endears himself to all with whom comes in contact with. President Daboh concluded that, he was particularly pleased that the Commissioner did not only attend the meeting, but took time to debrief members of the chapter about the situation back home, admiring Commissioner Kanu’s candor and humility in recognizing the progress the chapter made and continues to make.